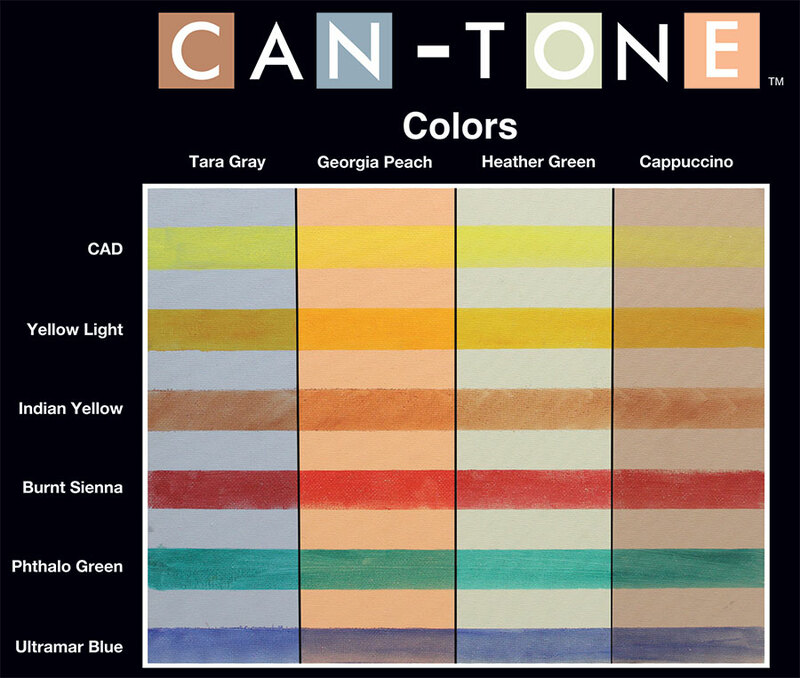 Save paint/money/time and improve color perception vs. un-toned white and eliminate the need to pre-tone your canvas with our new pre-toned Fredrix Can-Tone Canvas. Available in canvas pads and panels in 4 ideal toning shades (Georgia Peach, Tara Gray, Cappuccino and Heather Green). The different tones provide a neutral, pre-gessoed surface for work in oils and acrylics. The canvas is primed with an acid-free, professional-grade acrylic gesso.See the below example of common colors on Can-Tone.